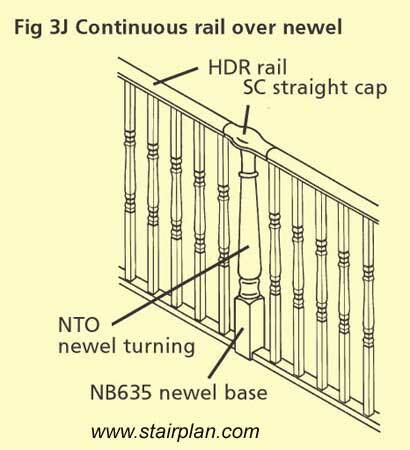 If you need a short landing balustrade like the one above it is common practice to start with a full newel post and terminate with a half newel post against a wall. 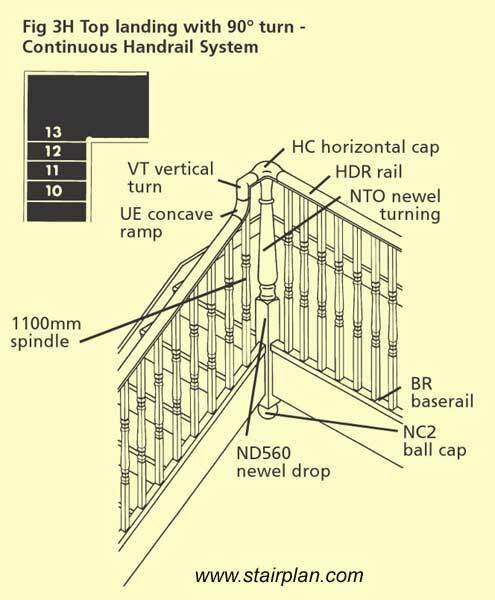 the Newel base at the open end would be expected to be secured below floor level. 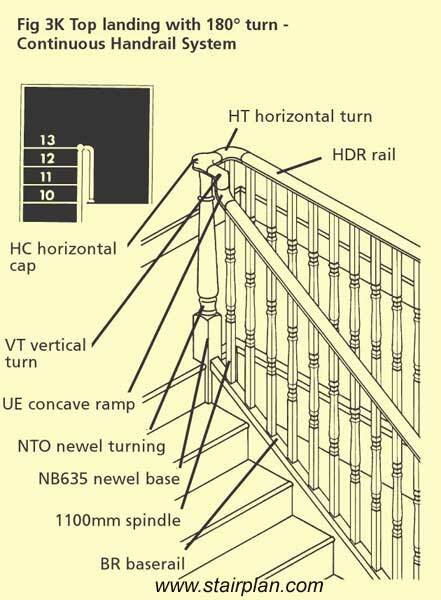 Here you can see continuous handrails being used at the top of a staircase , the goose neck detail comes up to a HC horizontal handrail cap and then the landing balustrade continues to the side. handrail to handrail fittings would be joined with Handrail bolts. 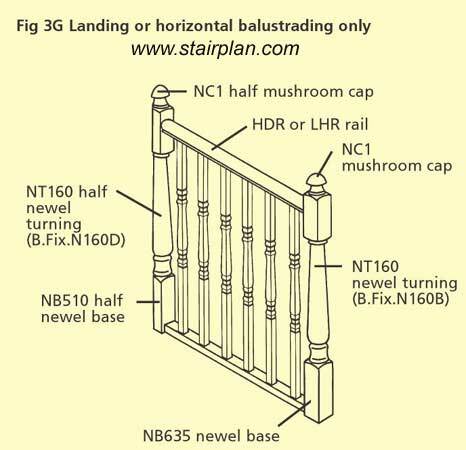 Continuous handrails can be continued on landing balustrade also but if your landing run is over 2400mm you would need to use a newel post as shown above. Here you can see the continuous handrail used where the handrail returns back inline with the staircase. As I have said before a continuous handrail project can offer a more classical look but the cost in labour and fittings as far higher than that of a conventional post to post handrail system.